Welcome to the Tropical Alola region! Start your journey right away, and soon you might witness the awesome power of a new kind of Pokémon with a devastating attack! 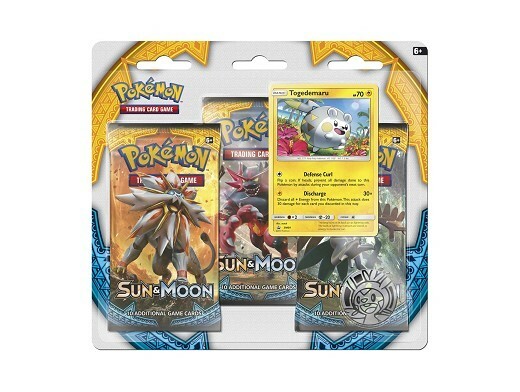 Discover dozens of never-before-seen Pokémon, a new look for some familiar favorites, and new ways to battle in the Pokémon TCG: Sun & Moon expansion!